I feel as if I need to explain my reading choices as of late; they've been widespread and unfiltered, and though that's not a bad thing they've been a bit uncharacteristic. I probably shouldn't feel the need to explain any life choice big or small (*raises fist in triumph*) but it's Monday morning, I did not sleep well, and maybe I'm still in compliant-student mode. For the past three months I've been in transit. All of my books are packed away and I'm guessing in a moving container somewhere in the middle of the country. At least I hope they're in the middle of the country. If they're in the middle of another country, that's going to make things a little difficult. I've been in and out and on the move, and home base has been a lovely little town with only one enormous flaw: no public library. This is both painful and sad. For the first time in years I am free to read whatever I want, books are difficult to come by, and I have zero dollars to spare (I think this qualifies as a lyric in an Alanis Morissette song). Thus, my book choices have been limited to what I could snag off of other people's bookshelves and what I could download through my former city library's Overdrive program. I've been reading voraciously and yet my reading feasts have subsisted of books I might never have chosen otherwise. At times this has been rewarding and I'm compiling future book review posts of great finds; at the same time there has been a mental stack growing larger and larger featuring books I could not finish or wouldn't recommend. I'm trying to get ahead and build a small cache of book reviews I can have at-the-ready when no doubt my schedule becomes busy once again in a week or two. This also means that in a week or two I'll once again have regular access to not one but two library systems (*praise be*), and can hop on the waiting list for books I've been eyeing for some time. That being said, this should help explain the randomness in title selections over the past couple months and preface those which will continue to roll out from aforementioned digital cache over the next three or four. I've had to read whatever was available and been guilty of judging books by their cover. 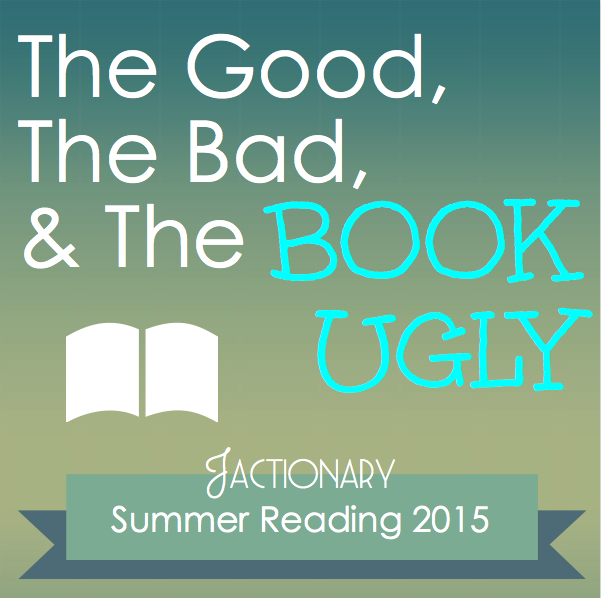 Consequently it's been a summer of the good, the bad, and the book ugly. Lucky for you, I save you from the ugly. "We left the cabin under a still-starlit sky: Mom, Dad, Michael and me. In single file we followed the path across the salt marsh, our footprints glistening in the dew. My first time up before dawn! 'It's like we're the only people in the world!' I whispered as we crossed the wooden bridge over the slough. At the edge of the marsh, we crunch along the beach, over pebbles, barnacles and broken shells. Slippery seaweed squished beneath our feet. My nose wrinkled with the clammy reek of low tide." Early on a chilly summer morning on Canada's Pacific coast, Amy and her family set out on their fishing boat. Heading towards the Island of Second Chances, Amy has big plans for catching her first big fish. She admires the view as they leave the harbor, picks through her dad's tackle box trying to find the best fishing lure possible, and watches the seagulls and rising sun as she eats a cinnamon bun and drinks hot chocolate, waiting for the first fish to bite. 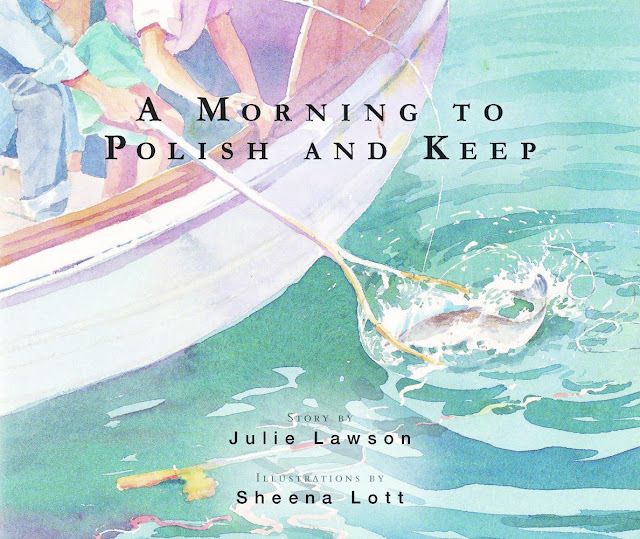 Lawson's story is a sweet tale of family togetherness and childhood memory that features the beautiful landscapes off the coast of British Columbia. First published in 1992, the book has been reprinted by Red Deer Press this year. Sheena Lott's watercolor illustrations pair well with Lawson's descriptive narrative. The book would most likely be enjoyed by young picture book lovers aged six and up and readers who enjoy tales of family, fishing, the Pacific ocean, and Canada's beautiful west coast.